Kate Bush fans desperate for new material from the reclusive star have been awarded an intriguing prize in the form of Director’s Cut. Calling this new however is misleading as all songs are entirely updated versions, culled from roughly two halves of previously released albums. The track list is compiled from 1989’s The Sensual World and 1993’s The Red Shoes, with only the former’s title track receiving a completely new set of lyrics. Re-named Flower Of The Mountain, The Sensual World could largely be seen as the catalyst for Bush’s latest move. At the song’s conception, Kate intended to use part of poet James Joyce’s novel Ulysses in the lyric but was at the time denied rights. Last year, with full access finally granted to Joyce’s words, Kate re-made the song as she had always intended and so began work on ‘correcting’ more and more of the songs that have dogged her over time. The fact that the entire album is comprised of music from those two particular albums won’t surprise many long-term fans of Kate. The artist has been casually critical of the two records in question, just as the media had been upon their respective releases. Now that Kate has put right what she had long seen as errors in her last two pre-millennium albums, I can’t help thinking that the same things that will please many long-time fans are the very same that will disappoint others. As a hopeless devotee, I can’t help but feel heavily critical of the re-workings in both positive and negative ways. Whereas I totally respect Kate’s decision to remake a few songs that she has long felt uncomfortable with, there are mixed results with no noticeable consideration for what her fans may have loved about these tracks in the first place. My first criticism would be that the vastly different albums (in their original state) The Sensual World and The Red Shoes don’t mesh particularly when assembled as the one piece. The Sensual World – always the black sheep in Kate’s catalogue - had a distinctly down-tempo, almost grim prevailing mood, whereas The Red Shoes was a spiky pagan romp through tales of black magic and mythology. Bush herself always claimed she felt a deep disappointment over how The Red Shoes was received, and in many cases the criticisms were unusually severe for a Kate Bush album. The fact that she disappeared from the public eye completely after, it’s been suggested, was partly down to being so brutally scorned over the album and its accompanying film - The Line, The Cross and The Curve – which leads me to wonder if re-recording that album alone would have sufficed. The Sensual World tracks after all are the least altered by far among this collection. This Woman’s Work (from The Sensual World) for example, is thankfully only slightly tweaked here with the most notable change being Kate’s cleaner vocal. She exercises further welcome restraint on Song Of Solomon and Lily – both of which retain all of the magic of their parent versions, and Top Of The City also remains glorious, if not a little less starry-eyed than its 1993 counterpart.. However, the Red Shoes most powerful six minutes – Moments Of Pleasure – has been sheered down to its bare bones, omitting everything from its beautiful, climactic refrain to its strings and all the original’s dynamics. This simple piano and choir version does however carry greater melancholy suited to the song’s meaning, but less is definitely not more in this case. 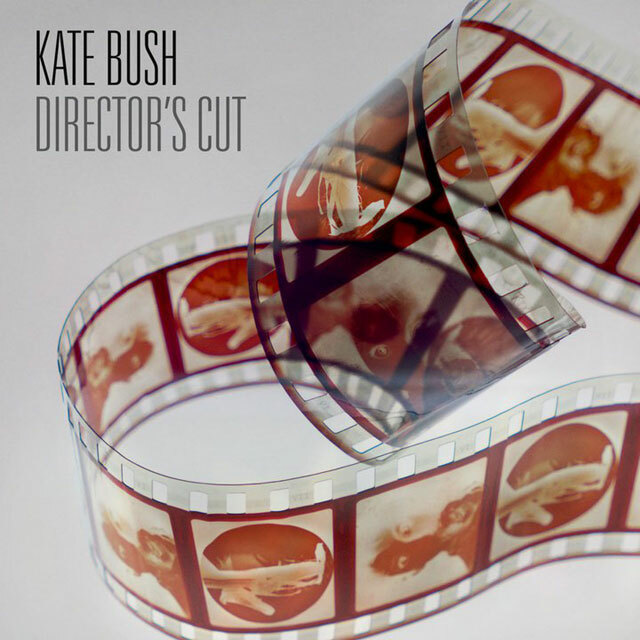 But all the nit-picking so far aside, let me be totally clear, Director’s Cut is by no means a hatchet job done on some old songs in a vain effort to drag them into modern, shiny perfection. Instead Bush has re-done her vocals - in nearly every case - to simply suit her matured, lower octave range and swept away a lot of the layered post-production in favour of some raw jam-style live band mixes. These versions are essentially concert-ready performances which, considering a snowball’s chance of a full world tour, is a really a massive tease. The biggest tease of all however, is the actual possibilities here not realised on some of these tracks. The brassy rumba of Rubberband Girl (from The Red Shoes) has been reduced – and not improved upon at all – to a vocal, electric guitar, drum and harmonica plod. I find it mind-boggling that Kate would seriously envision this track as needing such a lacklustre makeover. Far more satisfying is the album’s single, Deeper Understanding, which is unusual here in that it works perfectly in its updated form because of its lyric – written in 1989 – about computers taking the place of meaningful, inter-personal exchanges. However Bush’s own reliance on current technology in making this record is limited to that song with its jarring auto-tune refrain being the only in-organic sound throughout. As the project’s initial purpose was to strip away the slightly saccharine production of these song’s originals, all bar Deeper Understanding have been recorded entirely using analogue equipment which, for the most part, provides warmth to the overall sound. Although the kind of warmth that comes from non-digital recordings is pleasing, especially when it is a rare commodity in music nowadays, it seems odd that Kate should now shy away from these advances considering her ground-breaking use of digital techniques and effects on early albums, The Dreaming and Hounds Of Love. In fact, there’s evidence-a-plenty in Kate’s back catalogue of an artist who could always comfortably marry the timeless with the very latest when making music. The perfectionist that is Kate Bush coupled with the amount of time passed since these songs were written in theory should really have produced outstanding results rather than a sizable percentage of confounding ones. Perhaps the long-gestating gripe Kate had with the too-many-cooks sound on The Red Shoes and the occasionally flat-lining Sensual World should have been addressed sooner rather than later. A stunning semi-acoustic rendition of Red Shoes’ track Why Should I Love You – originally a messy sounding duet with Prince - was released in the late ‘90s, offering a more tantalizing indication of what might have been, yet it is missing from this set. The best news surrounding Director’s Cut for fans is probably the fact that Kate, when re-imagining these songs, was inspired to write an entirely new album in the process due out later this year. In the meantime, listeners reacquainting themselves with Kate’s newly re-nurtured back catalogue ‘mis-fires’ have plenty to mull over, find renewed love for or even straight-out hate. Which ever her unwavering disciples choose, one thing that is for sure, having Kate Bush back in any form at all is still a delight worth indulging in. or is there yet another version? If something else, where can it be found/heard? To Anon: It isn't this (youtube) version, I'm talking about a bootleg recording that surfaced in of a demo much more basic, stark demo. It wasn't so much "released" as I first heard it then. It was given to me by a friend who'd made a disc up of all Kate Bush rarities. As for where it can be found, I would suggest trying torrent sites.